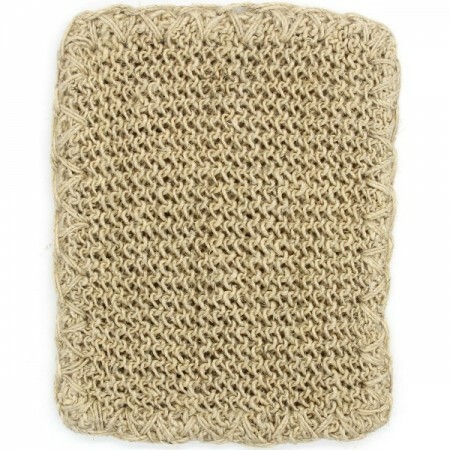 This Fair Trade hemp scrub cloth is handmade by artisans in Bangledesh. Use it to wash and exfoliate your body, or as an effective cleaning cloth around the house. Approx 14cm x 14cm. Choosing a reusable face cloth made of natural fibre conserves our resources and reduces landfill waste. Handmade by artisans in Bangladesh. Hemp is a naturally sustainable and eco-friendly material. Choosing hemp is a better choice for the environment. Fair Trade product from Dharma Door. Natural fibres soft on your skin and the environment. Naturally antibacterial and mold resistent. Made from 100% hemp, which is super strong and gives flexible. Textured surface works wonderfully for exfoliating the body, or in the kitchen to clean dishes or as an all-purpose cleaning cloth. Re-usable and hand washable - after use wash it under very warm water with natural soap & leave to dry. Double-layered and sewn around the outside gives it extra thickness. 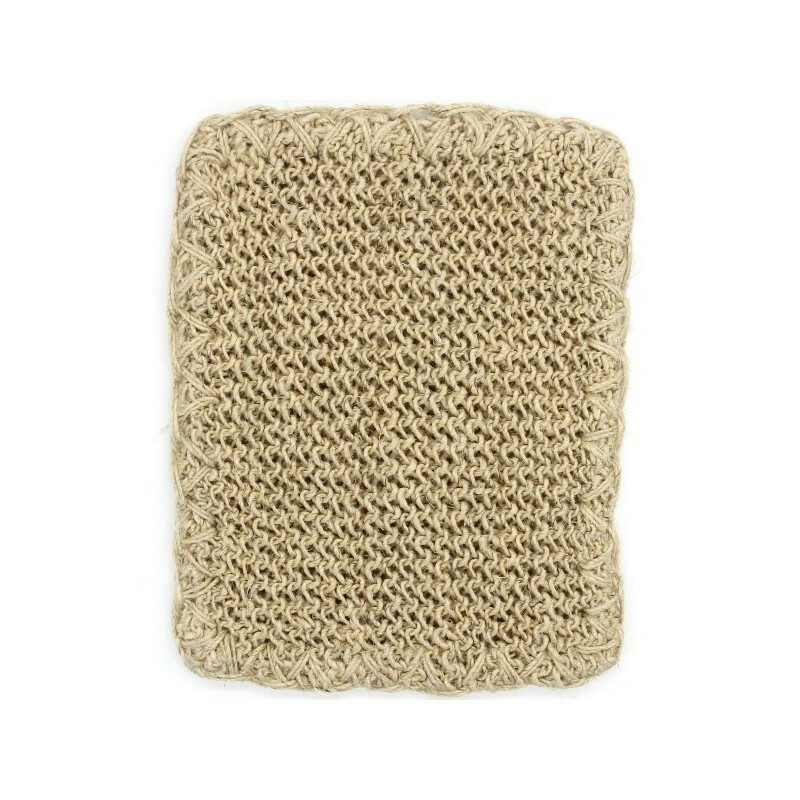 Perfect size to fit in your hand and use as a scrubbing cloth in the shower or bath. 14cm x 14cm / 100% hemp. Does the job well, but the double layer means that bits of grime and dirt can get stuck between the two, which is impossible to get out. I use this to exfoliate my body, it works super well and leaves my skin feeling really soft. Also dries out quickly so won't go mouldy!